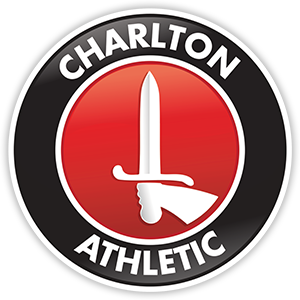 Anyone who listens to me on Charlton Live will know, I worship at the altar that is Yann Kermogant, I love his all action style, the way he throws himself into challenges, and from chatting to Matt Taylor he is the same in training, the defenders hate playing against him at Sparrows Lane, how many times have we seen Erol the physio charge on to the pitch to treat our stricken hero, and how many times does Yann get back up and throw himself into the next challenge? Playing in this manner will sooner or later lead to injury, and sadly last Thursday Yann picked up an ankle injury, which he rested over the weekend and on Monday it was discovered he had fractured his ankle, the injury will lead to an operation and 3 months out. Yanns untimely injury has spared Chris Powell a decision, Ricardo Fuller when he has come on has looked highly effective, clearly he is a class player and his appearances I would say have transformed the team, the ball when it comes to him seems to stick to him as if his body is covered in an adhesive. With Ricardo approaching full fitness, who was Chris Powell going to drop the bench, because he make no doubt would have, Yann is not going to score you 20 goals a season, he will get around 10, but he will be heavily involved in most of our other goals in some way, BWP has the potential to get these goals, and was unlucky to have a perfectly good goal chalked off against Palace, so who would he have dropped? I have no idea myself, but I do know both Fuller and Wright Phillips have a chance now to form a partnership and flourish. My worry is what happens if they get injured? we have Haynes and Smith in reserve, Michael Smith is a raw talent and I was hoping he would go out on loan again and get some experience under his belt, but this injury leaves us woefully short and I am not sure he will be allowed to go out on loan now, Danny Haynes is a speed merchant, but he averages over his league career a goal every 6 games, it maybe that Chris Powell looks to the loan market. Injuries will play a part in how our season goes, also out is Rhoys Wiggins, Matt Talyor, Nicky Pope and Andy Hughes, another injury to a key player could leave us desperately short. Looking ahead to Blackburn, I really fancy our chances on Saturday, Steve Kean is under all sorts of pressure, the fans hate him, the board seem to be waiting for the chance to fire him, I hope for his sake the players like him, there is speculation that this weekend could be his last game, the pressure on him and the players will be immense, if we start with a high tempo they could buckle, clearly they have some talented players, Jordan Rhodes we know very well, when he played at the Valley last season for Huddersfield we defended extremely well, and cut off his supply from the flanks, if we do that this weekend it could be a long afternoon for Rhodes, we have to dictate the tempo, and not let them settle, I fancy us to sneak this one. Dont forget Charlton Live’s 1 hour show is on www.merdianradio.co.uk this Friday at 5pm and features and archive interview with Derek Hales.